I know that your Christmas and New Year sales have been poor given many shoppers have turned to online shopping in US stores given our strong Aussie dollar. And I sympathise, I really do. Don’t you think it’s way too early for rows and rows of fancy Easter eggs to be gracing your shelves? I first saw them on January 2 and according to my 2011 diary, Easter is STILL three months away. Rather too loudly I'm afraid. It might not have been my finest hour but no-one knows me here (which explains why tourists are always loud and over the top) or could pass the message on to my deeply religious mother that I was heard yelling the lord’s name in vain in a busy supermarket aisle. What the heck, it was Sunday at least. As it happens, one of your staff managed to turn round an otherwise awkward moment. Pete, bless him, who was standing on a ladder restocking shelves looked down at me and said with a deadpan expression, “It’s really great to see the true meaning of Easter is not lost on everyone then”. I think Pete could be wasted restocking shelves, just so you know. How did we get to the point where all these holidays are melding into one long retailing celebration? Christmas to me is the celebration of Jesus’ birth and Easter the celebration of when he rose from the dead. That latter event happened 33 years after his birth, right? I think that should also mean that Easter should come a long, long time after Christmas…….every 33 years may be a tad excessive but you get my point. And if that argument does nothing for you then do you know how many of us are trying to give up chocolate every January 1st and could do without it being served up in shiny paper in the form of cute bunnies and waved enticingly in front of our noses the very day after we make our resolutions….at least give us a few months before we yield unto temptation. Please. That’s all I ask, until the next time that is. 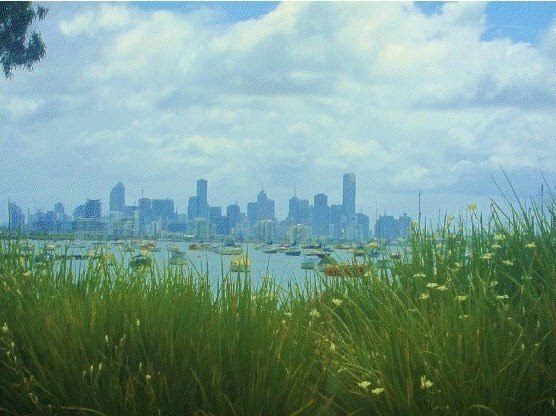 The above photo is of Williamstown, Melbourne. More pictures will appear here on my inspiration blog over the coming weeks. I am going to close comments every second post just to give you a break.